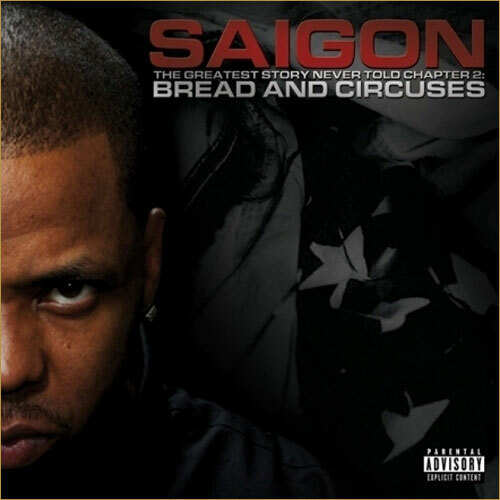 Saigon's single Blown Away is off his album The Greatest Story Never Told - Chapter 2: Bread And Circuses just one of his many gems on the LP. This single is just a glimpse to what you can expect on this politically diluted album. You have to give credit to the few artist who rap about real issues. We all know these kind of topics do not yield huge profits which is why mainstream labels don't sign artist like Saigon. Artist like him will continue to be underground if we change out mental perspective on life. Because selling a million units to a million idiots only benefits major corporations while our culture continue on a downward sparrow into ignorance and negrocity.